Mondays are my least favorite days. They require from 3-5 hours straight in the car for me. I run the twins and sometimes Princess to another city to work with their competitive robotics team, run back here to drop off the Gymnast, a few miles down the road to coach Princess’ volleyball team and then back to the other city to pick up the twins. It is a grueling day…and this is all after I take Princess for a couple of hours of volunteer time at the local shelter. I am not complaining, although it does sound like it, I choose this, I could say “No” – I own that this is my choice. But this past Monday was a whole other roller coaster in and of itself. First the day started out on a high…we celebrated four years of being a family which I wrote about on my personal blog. In years prior to our tiny space living, we would celebrate with a visit to the local pottery painting place where we would all paint a dish including the number of the anniversary and a meal out. This year and last, we opted to skip the painting due to financial reasons and because we just don’t have space for more dishes. But we did go out to eat. So a good day. However, in between my marathon chauffeur duties, I got the dreaded call. My biggest, longest running client, the bread and butter of my business for the last 8 years…they are downsizing. They gave me three weeks notice. Tears sprang to my eyes. All the plans for housing, out the window, all the debt pay off plans, out the window. All with one phone call. I was devastated. But I had to pull it together and go coach Princess’ first ever volleyball game….we WON! There have been sleepless nights since then as I toss and turned, panicking, wondering what if as I look back at how I got here, and just worrying. It took me a year when I first started my business to get to the level where I could support us. And I have to admit while I do have some smaller clients and occasion bigger projects, I’ve become complacent. So I will essentially be starting from scratch again. I ended the day with dinner with my kids to celebrate the four years that we’ve been a family…since the day the twins moved into our life. They all knew about the call as I couldn’t hide the devastation. But we spent the meal reminiscing about those first days, learning more about the twins’ feelings at the time and being grateful for the experiences we’ve had to this point. Oh wow, Hope. Chin up. You’ve proven over and over again that you can hustle and drum up opportunity where there seems to be none. Take a look at what your minimum fixed costs are today versus a year ago and be proud of where you’re sitting. You are strong, resilient and this too will pass. Thank you, Walnut, you are absolutely right! Financially we are in a better position then well, ever. I am so grateful for that. as a fellow freelancer I feel your pain. It might not make sense in English, but over here we call people like you the equivalent of a roly-poly-toy. People who always get back up, people who don’t care how many times they’ve been brought down by no matter what obstacle. So I believe that you’ll be able to get up again… to make it work& provide for your family. Best of luck! And congrats on the Family Anniversary! Oh Hope, I’m so sorry to hear this! Even though this is a huge punch to the gut, you really are in a great position to handle it (thanks to all your hard work the past couple years!) 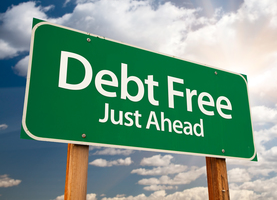 You’re living on last month’s income, you have an EF, low monthly expenses, and are basically consumer debt-free (assuming your ex continues making the car payment). Your student loans can be put on forbearance if absolutely necessary. So you’ve got a nice safety net in place to help buffer the blow while you figure out your next move. It will be tough, but you are strong. I am so sorry to hear this! However, you’ve done a great job focusing on the positive, you’ll need that attitude as you move forward looking for other clients. You are in a better place financially, you did make the lucky decision to stay in the apartment, and you are blessed in so many ways. I’m glad that the terrible news didn’t overshadow your family anniversary!